Posted on 26th January 2018 at 5:16 pm. Now 2018 is under way, Christmas feels particularly distant – both in the past and the future. A great many people at this time of year decide to punish themselves for their December transgressions, but we at IT Clear think differently. January and February are PERFECT for buying yourself a fantastic gift, but with one caveat: you have to somehow sell it to yourself as a practical, necessary and super-important item, that your personal and professional life simply cannot do without. And what says practical, necessary and super-important like a new laptop? These sleek, inviting and useful devices ARE practical. You (probably) need one, and they’re (probably) going to be very useful to your career. Nothing says “I’m a professional” like a flash laptop, and the fact that they’re also very useful for watching films, playing games and for messing around on the internet is simply a welcome extra. At IT Clear, one of our many specialisms are Dell laptop deals – we offer these devices for some of the best prices on the market. But which is the best laptop to buy? Let’s run down the top five winter purchases to wipe those post-Christmas blues away, and start 2018 off with a bang. Even if we do say so ourselves, this is a fantastic place to begin our countdown. The Dell XPS 13 sets a nice tone for 2018: it’s a forward-thinking and very well-designed product. Let’s start with the display, all expansive 13.3 inches of it. Not only does this practically borderless, Infinity Edge screen provide you with about 2.3 inches more visuals for your money than average laptops of this size, it is also touch sensitive and boasts an impressive UltraSharp QHD+ 3200×1800 resolutions. Get ready for sharper-than-real-life images, videos and graphics. Posted on 5th December 2017 at 4:18 pm. As it’s now the season when people start saying ‘tis’ instead of ‘it is’, ‘TIS probably time to start thinking about presents! Being that the Edwardian era has long since passed, you rarely see the dolls houses, wooden rocking horses and model train sets that are traditionally depicted under the tree. In 2017, and probably forever, presents are technology-based. And booze-based. And this is no bad thing. Computers, tech and accessories are very practical choices for presents, and have a usefulness that extends far beyond the just-for-Christmas nature of many gifts. Santa likes them too, as they’re getting smaller and lighter by the year – besides, we’re pretty sure he outsources his deliveries these days. Functional for work or play, and lasting for many years, tech gifts are a great choice to wow your loved ones. What’s more, they needn’t break the bank! Let’s take a look at some awesome ideas, all of which are great value too – these new, open-box, ex-demo and manufacturer-refurbished items won’t be beaten on price. What?! Your daughter/son/wife/husband/sister/brother is only using a TV for their new PlayStation or Xbox? 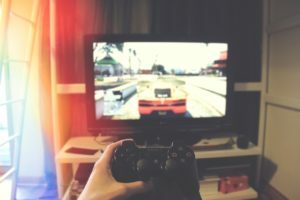 Tell them they’re missing a trick: hitching up a monitor allows them a dedicated screen for their console, as well as well as a display and graphics that will make for extremely exciting gaming. Our range of cheap monitors offers fantastic TFT (thin film transistor = consistent display from all angles) and HD models, and go up to 70” size. Which is completely massive. Posted on 17th November 2017 at 4:25 pm. If you’re in web design, there’s every chance your colleagues have already stated their preference for desktops or laptops. Not all of these opinions will have been in line with one another; IT professionals are natural contrarians. Some – often the more technically minded – may favour a powerful desktop device in order to handle their niche programming and coding requirements. More creative types may enjoy the mobility that comes with a laptop: decent RAM and a few other features are good enough for these crazy kids. At IT Clear and ITC Sales, we’re not bothered about tribalism, tradition or other trivialities – we just want you to make the right choice for you. Posted on 27th October 2017 at 2:30 pm. One of the cruel ironies in the life of a photographer – amateur or professional – is that the freedom and mobility afforded by ever-lighter cameras are then shackled by desktop editing software. Well, be shackled no longer: IT Clear and ITC Sales have a range of laptops that are particularly light and portable, at no expense to display, speeds or editing capabilities. These useful devices allow you to rove, roam and explore as a photographer, and edit on the go. Cheaper devices can often handle straightforward editing tasks. Processing speeds, however, are an issue: if you’re handling lots of photos, you’ll want to keep these speeds down. Likewise, day-to-day you may benefit from useful features such as touch-sensitive screens, and your images – put simply – will look better on a great display. The Dell XPS 13 offers everything a photographer could ask for. Its sleek, light and strong construction ensures durability if you’re on the move, and its Intel Core i7-7660U processor and 8GB of RAM can handle your editing software with no issues. However, the practically borderless screen is where the device truly excels: its 13.3 inch QHD+ Infinity Edge Touch Display allows for superb colour accuracy and smooth functionality, and the 3200 x 1800 pixel resolutions will render your photographs with exceptional clarity. Posted on 25th September 2017 at 9:00 am. Whether you’re a seasoned post-grad or a fresh-faced… fresher, you’ll need a laptop that can keep up with the demands of student life. That doesn’t only mean the storage of your exceptionally well-curated library of music, box sets and films, by the way – you also need a device with the day-to-day functionality, memory and portability that will prove essential to your convenience and productivity, along with plenty of useful extra features. The Dell Latitude range has you covered for all things student, with user-friendly design and seamless performance for industrious yet enjoyable usage. There is also a range of education-specific features that set the Latitude range apart as a worthwhile choice. What is the best entry level laptop? Posted on 15th September 2017 at 1:58 pm. If you’re looking at buying a new laptop, ITC Sales is the place to be looking. We have a wide range of laptops all available in different price brackets, with the best and latest deals available for you on every purchase. We have something for everyone; you’re guaranteed to bag yourself a bargain with us. So, at IT Clear, what do we recommend that’s up for grab from ITC Sales? – HD screen, Bluetooth and webcam. Posted on 31st July 2017 at 2:47 pm. With so many Dell laptops on sale, how do you decide which is the best deal? 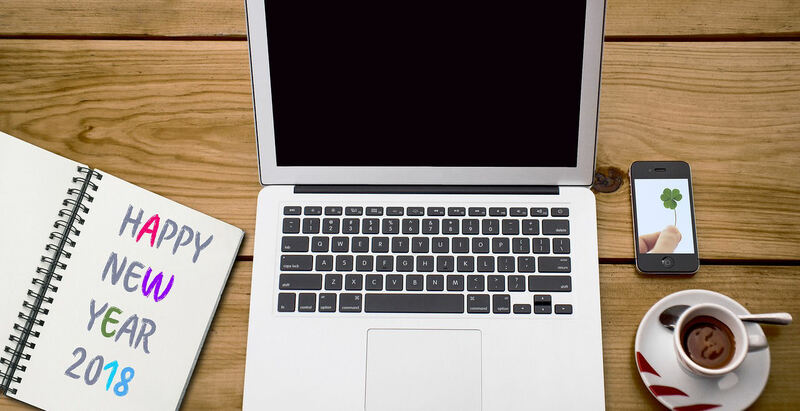 Buying a laptop or notebook within a budget can be challenging and the endless specifications that are advertised can be difficult to understand if you are a novice. Here is ITC Sales simple guide on how to choose the best deals and discounts when purchasing a laptop. Posted on 27th June 2017 at 12:08 pm. Have you considered hosting your website in-house? Some of the resources you will require include; a high-speed internet connection, staff responsible for your hosting, twenty-four-hour support and a web server. Remember to search for cheap server deals to find one that suits your needs. Below we explain some of the fundamental reasons you might want to consider hosting your own website. Posted on 9th June 2017 at 12:13 pm. IT Clear offers some of the best deals when it comes to searching for a laptop or computer through our main store, ITC Sales. 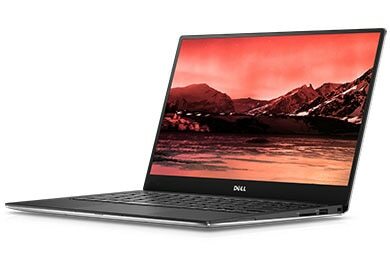 We offer a trusted place to buy cheap Dell computers, laptops and accessories, and aim to bring you updates on the best value products as they become available. If you’re looking for a new computer monitor, please read our guide on some of the factors to keep in mind. There are a number of different connections and types of monitor for your computer but the overall purpose of it is to transmit a video signal to display an image onto a screen from a computer. CRT – These monitors use Cathode Ray Tube (CRT) technology and are commonly used for television screens. A thermionic emission generates an energetic beam of electrons that are used to form an image on a fluorescent display. These electrons travel down the Cathode Ray Tube which hit the phosphor points that are present on the fluorescent screen, resulting in an image being displayed. Due to advances in technology a flat screen CRT monitor is now available to purchase. These help to reduce glare and are better for your eyes. Although one major weakness to CRT monitors is that they tend to be heavy and take up a lot of space. Posted on 28th April 2017 at 10:23 am. Regardless of whether you’re looking for a new laptop at the higher or lower end of the pricing scale, saving a little extra cash and getting great value for money is always welcome. It can be hard to know where to start when shopping around for cheaper laptop deals, but we have some recommendations based on our experience. Here are some top suggestions on what to look into.